“I think the sanctions had, in some ways, an opposite effect because of Russian culture,” Anthony Scaramucci, the extravagant Wall Street hedge fund showman, told TASS news agency on the sidelines of the World Economic Forum in Davos, Switzerland. “I think the Russians would eat snow if they had to survive. And so, for me, the sanctions probably galvanized the nation with the nation’s president,” explained Scaramucci, who was a fundraiser in Donald Trump’s election campaign and has just joined the president-elect’s White House staff as senior advisor for communications with business, while also noting that he does not see sanctions as a generally effective measure under the current circumstances. “Long-term sanctions could be painful had they been effective in other areas… They wouldn’t be using them if they weren’t effective, but what I think we have to do now is think outside the box. 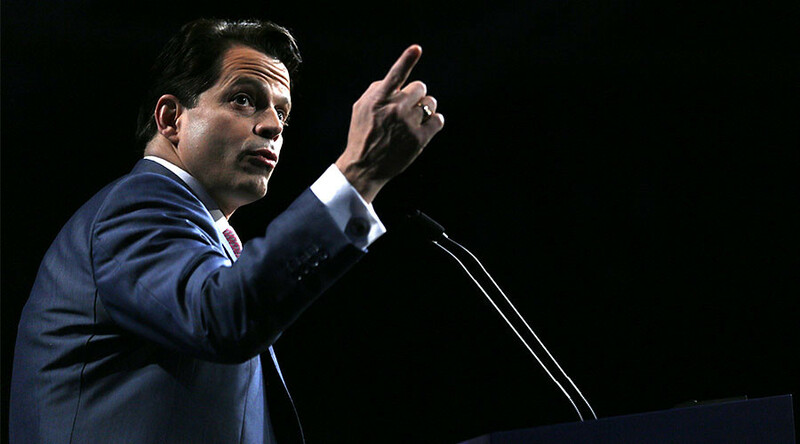 We have to make the world safer, we have to eliminate from the world the radical Islamic terrorism, and we have to figure out the ways to grow the wages for working-class families,” Scaramucci said, adding that Russia and the United States share a lot of common objectives. According to the advisor, despite the fact that some actions taken by the Russian government have been “met with some level of disapproval by the global community,” and the US in particular, he hopes “there will be an opportunity to sit down again” and negotiate to solve the existing disagreements, given President-elect Donald Trump’s declared respect for Russia. “He has an enormous respect for the Russian people and the legacy of the relationship that the US has with Russia, which dates back to the Second World War. We were two nations in the heat of battle during the Cold War, yet there was enough mutuality of respect that we kept all of our citizens safe during that period of time. So, [as] a man of tremendous common sense, [Trump believes] we can align ourselves with each other and this could be mutually beneficial,” Scaramucci told the news agency. 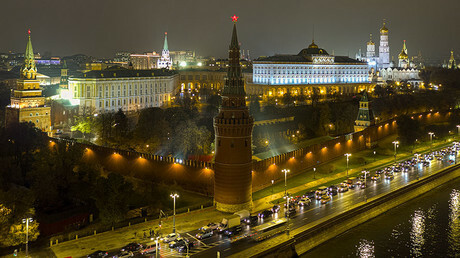 Commenting on Sacramucci's words, Kremlin spokesman Dmitry Peskov said economic constraints really did have quite the opposite effect on Russians, having united the nation, but argued with the metaphor the adviser used to describe the nation's fight against sanctions. “As for [Sacramucci's] metaphor [that Russians are ready to eat snow to survive], perhaps we can agree. Although I'd specify – instead of snow, the Russians actually prefer to eat the delicious goods of domestic production, which are becoming more and more numerous thanks to the sanctions,” Peskov said. 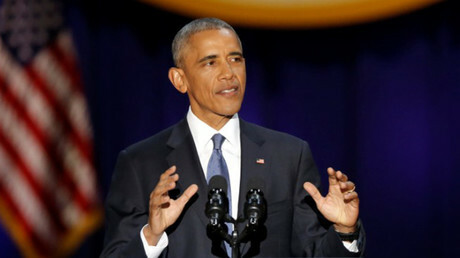 Last week, US President Barack Obama prolonged sanctions on Russia that were imposed in March 2014 due to the conflict in Ukraine, extending them beyond March 2017. The outgoing president wrote a letter to House Speaker Paul Ryan and Vice President Joe Biden (as president of the Senate) about the “continuation of national emergency,” in which he accused the Russian government of “the use of force in Ukraine.” He also referred to Crimea’s reunification with Russia as an “annexation,” claiming it poses an “extraordinary” threat to US security and foreign policy. US President-elect Donald Trump, who is to take over the White House on January 20, hinted on Monday that the US could lift its sanctions on Russia. “They have sanctions on Russia – let’s see if we can make some good deals with Russia. For one thing, I think nuclear weapons should be way down and reduced very substantially,” Trump said in an interview for The Times and Bild news outlets. Last week, Trump also said he would consider lifting the restrictions, depending on how helpful the Russians are in fighting terrorism and assisting with other goals that he feels are important for the US. “If you get along, and if Russia is really helping us, why would anybody have sanctions if somebody’s doing some really great things?” Trump told the Wall Street Journal last Friday. Award-winning journalist John Pilger warned that if Trump follows through on his current statements, he will face heavy resistance, as the “US intelligence and national security monolith is pointed towards war,” though he stressed that it would be a good thing if he met that challenge. “It seems that he [Donald Trump] wants to make a deal with Russia. It makes sense from everyone’s point of view, [yet] there is a great pressure on him not to do it. “The US’ biggest business is war. Lockheed Martin and all other major armament companies have a great hold on the US administration, on the US Congress. The so-called intelligence community and national security monolith is pointed towards war. If Trump is going to drawback from that, that’s very good news,” Pilger told RT.